Bats need a solid. How can we do it? Bats are in trouble. White-nose syndrome is killing them. A million-plus bats in the eastern U.S. and Canada have died from it. And now it’s in Ohio. What will it do? Why should we care? How can we help? OSU Extension’s Marne Titchenell will speak at Farm Science Review (pdf; sixth under “Wildlife Presentations”). Batfact: A single bat in Ohio may gobble some 1,000 bugs a night, including such pests as mosquitoes. Which makes bats a friend to green farms, yards, and gardens. Here’s your chance to become a “citizen scientist” and help combat an invasive plant that impacts forests, crops, parks, vegetable gardens and even your attic. University scientists are trying to find out how common buckthorn is in Ohio, Michigan and Iowa in an effort to develop strategies to manage it. Of course, they can’t do it alone, so they are enlisting as many people as possible to go looking for this prolific European import and report their sightings online. “Buckthorn Watch” (http://buckthornwatch.org) is a program established by Ohio State University, Michigan State University and Iowa State University to map, study and manage this fast-growing shrub — which was introduced in the early 1800s by European settlers and can grow up to 22 feet tall, taking over disturbed areas along roads and railroad rights-of-way, near power lines, in fencerows separating crop fields, and on the edges of forests. 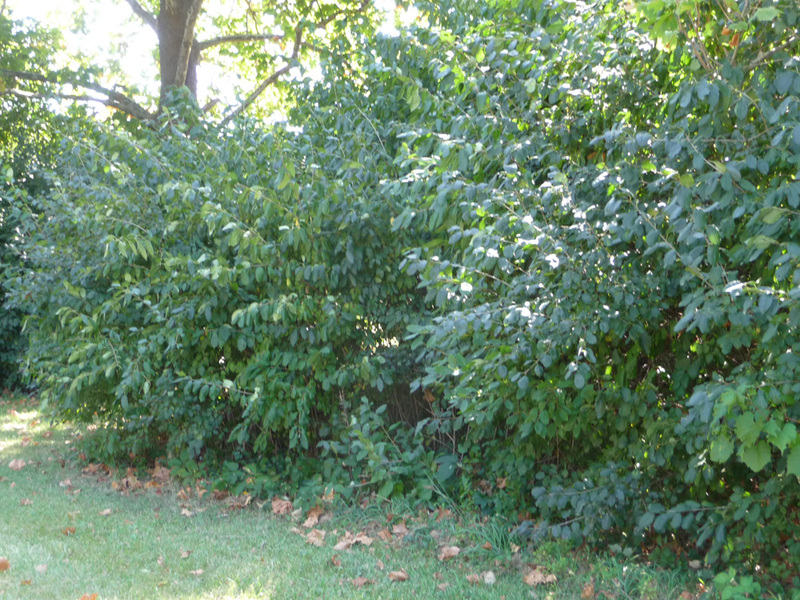 “We really want people to go out in the nice fall weather and look for buckthorn on their farms, properties, woods, parks or private land where they have permission to go,” said Mary Gardiner, assistant professor of entomology and director of the Agricultural Landscape Ecology Lab at Ohio State’s Ohio Agricultural Research and Development Center (OARDC) in Wooster. 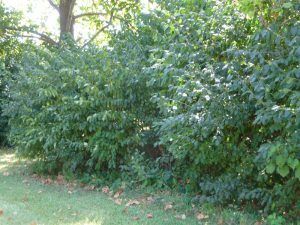 All you need to know to become a buckthorn hunter is on the program’s website, including identification tips and more information on the impacts of this plant. But here’s a hint: it’s a preferred host for soybean aphids, which lower soybean yields, spread viruses to veggies, and are a favorite meal of the also-invasive multicolored Asian beetles — yes, the ones that invade homes by the troves every autumn! Learn more about the impacts of buckthorn here. There’s a new pest of trees in Ohio. It came from Asia and is deadly, like the infamous emerald ash borer. But it may be easier (though not easy) to control. Which is good. But it kills a lot more than just ashes. Which is bad. (Though losing one’s ashes is bad enough.) Here’s a good chance to learn more. OSU Extension’s Denise Ellsworth, a Summit County-based educator, will speak on phenology (scroll down to 3:30 p.m.) — the study of the timing of life cycle events of plants and animals — at an upcoming symposium on climate change at the Cleveland Museum of Natural History. Together with Dan Herms, Entomology, she coordinates Ohio State’s Phenology Garden Network, the largest network like it in North America. Read a May 26 Cleveland Plain Dealer story about it. What’s going on at your house? 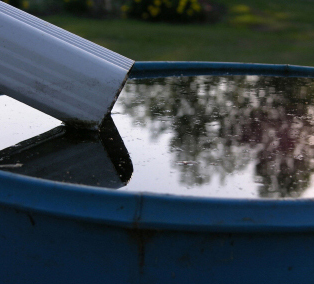 Build your own rain barrel and you’ll get free water for your plants. And you’ll cut down on stormwater runoff, too much of which causes flooding, erosion, and water pollution. Learn more — how to set one up, blend it in, and use it — in this talk by experts at Farm Science Review (pdf; go under “Water Presentations”). 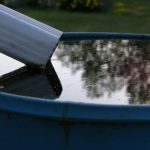 Fun fact from the city of Bremerton, Wash., which gets its fair share of the wet stuff: A rainfall of only about a third of an inch, on a typical house, will fill up a typical rain barrel. Ohio State’s nationally known organic farming research program will be featured Sept. 1 as part of the Ohio Sustainable Farm Tour and Workshop Series. Scientists with the Organic Food and Farming Education and Research program will speak on their work, with a special focus on grains, livestock, and water quality. OFFER is a part of OARDC. Six organizations, including Ohio State’s Sustainable Agriculture Team, are behind the series, which continues through November. Jeff Rasawehr, a family farmer in western Ohio, has had growing success with cover crops. They’ve enriched his farm’s soils. Improved their tilth. Cut pests and weeds. And revived yields. You can learn more next week (and visit his farm) as part of the Ohio Sustainable Farm Tour and Workshop Series (pdf). Six groups, including Ohio State’s Sustainable Agriculture Team, are the sponsors. Beech? Oak? Maple? Can’t tell which is which? There’s a workshop next week just for you. But you need to sign up by tomorrow. Specialists with OSU Extension’s Ohio Woodland Stewards Program are the teachers. A free tour today at OARDC in Wooster features new, non-chemical, sustainable ways to fight a melon grower’s biggest nightmare. “Both organic and conventional muskmelon growers rank the cucumber beetle/bacterial wilt complex as their No. 1 problem,” says Celeste Welty, an OARDC and OSU Extension entomologist and one of the speakers. New research on trap crops and row covers is the focus. “On many sustainable farms, and particularly on organic farms, there’s interest in using any possible tactics other than pesticides,” Welty says, partly because of the chemicals’ threat to honey bees. It’s part of the 2011 Ohio Sustainable Farm Tour and Workshop Series (pdf).